I don’t think I’ll ever be done decorating my home with photos of my family. 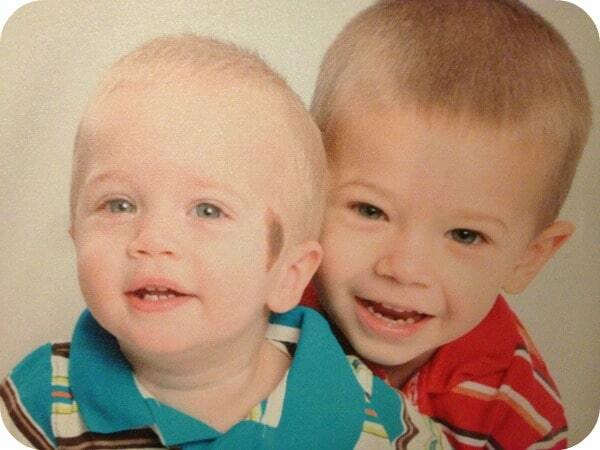 As the years go by and so much changes, I love preserving special times in our life with photos. I run the gamut from small frames with 4×6 photos to large canvas pieces that take up quite a bit of wall space. Because I take a lot of pride in my photo displays, I always look for printing services online that can offer me quality service and products at a reasonable price. I now have a new source for my photos and creativity that offer me both in Mailpix. I was given the option to choose any product from the Mailpix site for review. 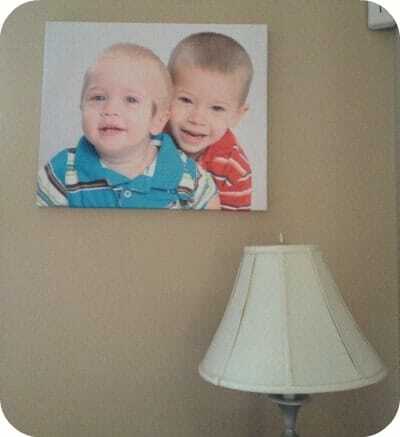 Having just had professional pictures of my boys taken, I knew I wanted a new canvas piece for my collection. I chose a 20×24 canvas piece to review. The creation process was simple – I chose the product I wanted, I uploaded my photo, made the edits I wanted, saved my project and ordered my piece. When it arrived, I was quite impressed with the clarity of the piece (sometimes the larger pieces are tricky!). The picture is beautifully stretched around the canvas. It’s obvious that great care went into creating this piece. Not only does it look great up close, it also looks great on my wall – the large size really makes the piece stand out. I’m looking forward to creating some smaller canvas pieces to add to my walls. The brainchild of Fred Lerner, a lifelong photo entrepreneur, Mailpix is a one-stop shop for all your photo needs – from storage to printing to custom photo gifts. The goal of MailPix is to keep costs low and pass savings along to consumers by using the latest easy-to-use web technology integrated with social media. Besides photo printing and storage, they are also a great source for invitations and holiday cards. A great feature of the site is that you can upload photos for projects from your computer, from Facebook, or Instagram. With their 100% satisfaction guarantee, you can be assured that you will get the end product you want. To see more of what Mailpix has to offer, visit their website. I’d love the photo apron. I like their travel mug. Thanks for the chance. I love the 8½x11 custom wall calendar. Thanks! I’d love to have one of their custom photo books! I’d love the custom wall calendar. I’d love to have the photo calendar! I’d love a puzzle or ornament. I would like the custom photo magnets. I love the custom pillow cases! I like the canvas photos! I would like to have the 20 x 30 Canvas. I like the DELUXE 11 X 14 CALENDAR. Love the Porcelain 3″ Ball Ornaments!